One of the benefit of the 2017 Nissan Sentra is its adaptability to driver needs. The base model S comes standard with a 5-speed transmission, a throwback to the original days of the compact car. This model offers options to drivers who may be frustrated by the lack of manual transmission options, but Nissan hasn't forgotten drivers who have fallen in love with the automatic transmission either. The SV model, a slight upgrade, has a standard Xtronic CVT (or continuously variable transmission) that offers some of the benefits of the manual transmission without the need for shifting. This choice works well for efficiency, as the Sentra offers an average of 29/32 mpg, which is sure to impress anyone with an eye for value. Driving the 2017 Nissan Sentra is definitely a fun experience with the host of fun features that are included. Some of the standards make the Sentra feel a little more luxurious than you might expect-an integrated key with remote keyless entry means that your key slips nicely into your key fob, keeping it from destroying your cell phone, sunglasses, or anything else it comes in contact with. It's the small things that add up, and that includes a smart headlight system that automatically senses when it's time to turn on the lights (and turns them off automatically as well, either once it becomes light again or when you turn off the car). The Nissan Sentra uses its features to take away your worries. The number one way to bring the fun in a vehicle like the 2017 Nissan Sentra is the entertainment system-and this car does not disappoint. A 4 speaker AM/FM/CD stereo offers the basics as well as SiriusXM enabled streaming audio with Bluetooth options, controlled on a 5-inch color touchscreen display. A speed sensitive volume control system takes the guesswork out of that as well, leaving you free to enjoy the drive and your favorite song with no distractions at all. That focus on safe driving, and keeping your ride as stress-free as possible, is especially clear in the 2017 Nissan Sentra's safety features. Like most Nissans, the Sentra is built with Zone Body construction, which reinforces the passenger compartment while creating crumble zones to absorb some of the impact of a crash. In a smaller car like the Sentra, this is especially important, and driving becomes less worrisome when you have this commitment to safety on your side. 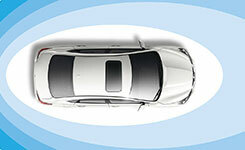 The Sentra also has advanced air bags and traction control to make any driver feel more secure in the Nissan Sentra. The Nissan Sentra offers five trim levels, from the manual S model to the SR Turbo. Ranging in price from $17,000 to $22,000, they each offer a different set of options that build on the basic S model. SV: Offering a CVT for drivers who prefer a standard transmission, this model offers a push-button ignition, an upgraded entertainment display, and cloth seats. 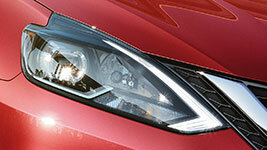 SR: This model upgrades to LED headlights, heated front seats, a sport trim on the interior, and fog lights. Automatically detecting the need for headlights, this feature eliminates the need for drivers to fumble for the switch or lever as conditions change. 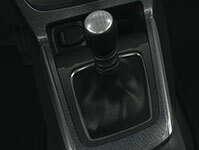 Though not for everyone, the standard manual transmission offers options to those who favor the clutch-shift life. 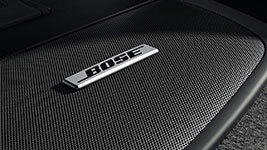 Take the distraction out of your driving while enjoying your stereo system, as it adjusts to match your speed. A reinforced passenger compartment, along with crumble zones, significantly improves the safety of this compact vehicle. The 2017 Nissan Sentra anticipates the needs of drivers, providing features and options that other carmakers don't. The Sentra amps up the fun and dials down the stress of daily driving, creating an experience that leaves a smile on your face. Go drive one-we dare you to disagree!